Choppy, cut-up riffs spurt into Riverside. Band Of Skulls are here. The Southampton trio, now three albums in, are looking as strong as ever. With their pleasing brand of blues-y rock, Band Of Skulls may have, for some, not become as big as some might have thought a couple of years ago. But, regardless, the band are undeniably an unyielding live outfit, with dual vocalists Russell Marsden and Emma Richardson, supported by solid drummer Matt Hayward, delivering a strong set spanning across all of their albums equally. One of the best things about Band Of Skulls is the way they behave onstage. There is nothing more infuriating as a gig-goer than watching a band or performer who really couldn’t want to be performing for you any less. A lack of passion from a performer can kill the gig. If you’ve never experienced this, then you’re lucky. Band Of Skulls are not one of those bands. Frequently glancing at one another, making eye contact, producing huge grins, it’s clear that the trio were properly enjoying themselves. And that was great to see. 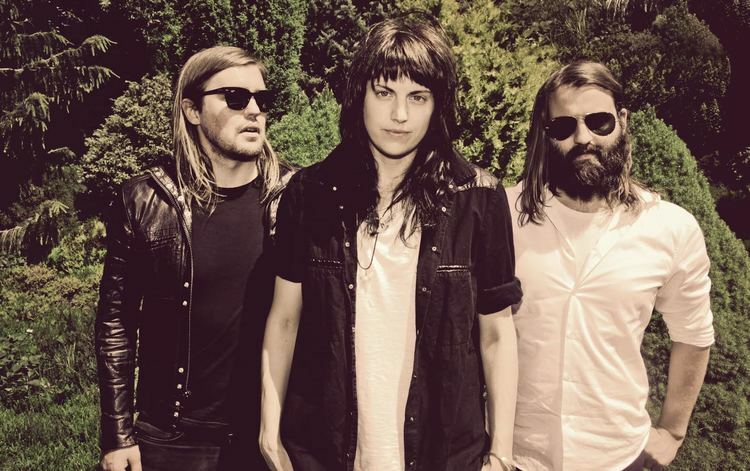 Band Of Skulls were supported by the excellent DZ Deathrays, a thrash-rock duo from Australia who represent yet another duo, along with the likes of Royal Blood, Drenge, Honeyblood, Slaves and Jungle, that has owned 2014. It was difficult to not find yourself mesmerised by DZ’s Simon Ridley on the drums. Watching him was like watching an action sequence. The man has skills. Do yourself a favour – check these guys out. As the set drew to a close, Marsden addressed the (partially clad in Halloween-themed fancy dress) crowd saying “If you can sing, or if you can dance, this is the one to do it too” before hurling into I Know What I Am; cue mosh pits breaking out. Whilst nothing Band Of Skulls do is necessarily going to blow your mind, they are undeniably strong live performers that visibly love what they do. It’s difficult to complain when everyone is having so much fun.